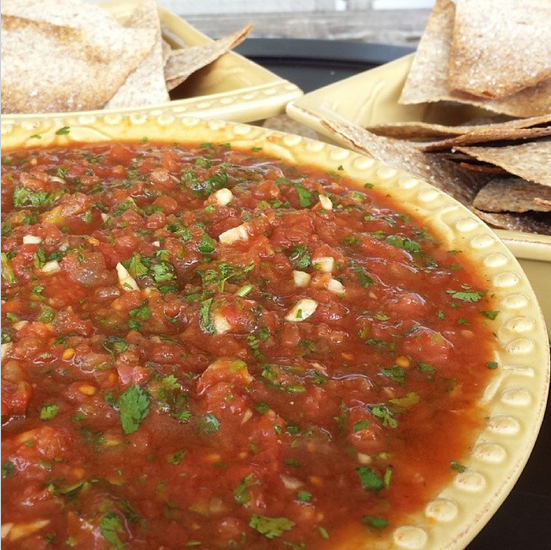 This Salsa packs a little heat & tons of garlicky-fav-restaurant-flavor. Boil small pot of water, place jalapeño peppers in boiling water for 2 minutes. Remove. This gives the salsa crazy flavor! In a food processor (must use) process, jalapeños, garlic, and cilantro. Just a minute until it’s a nice, combined, small texture. Do NOT over process, or let it become liquid. Add cans of both tomatoes, sea salt and pepper to taste. Process another minute, until it looks like mine. That is it! You will want to dive in! Cover 2 flat sheet pans with foil, spray lightly with olive oil. Best Black Bean Salsa Recipe!